Waterbury – Rosario Ortiz, 55, of Waterbury, passed away on Friday, October 5, 2018 at the VITAS Innovative Care Unit at St. Mary’s Hospital. 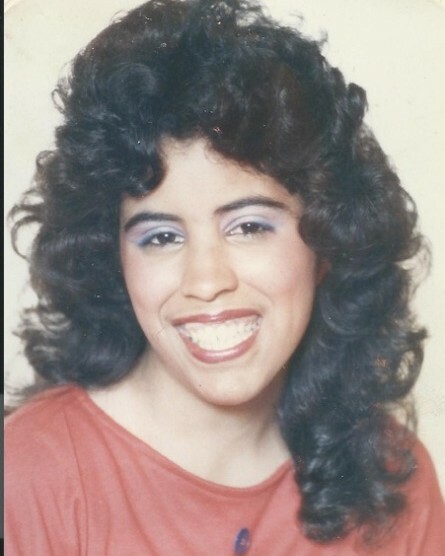 Rosario was born on July 8, 1963 in Waterbury, daughter of Hermanio Ortiz of Penulas, PR and the late Noelia Roman-Ortiz. Rosario loved music, dancing, and singing. She will be remembered as a loving person with lots of hope and faith. She loved children, her nieces and nephews and creating memories with her loving family. Besides her father, Rosario is survived by her brother, Juan Ortiz; her sister-in-law Ileana Aviles; sister Julia Ortiz-Torres; her brother-in-law, Luis Torres; aunt Edith Roman; four nieces Joanna Ortiz, Leslie Ortiz, Beatriz Torres, and Veronika Torres; two nephews Luis Torres, and Juan Ortiz; and several cousins, great nieces and great nephews. A Funeral Mass will be held on Monday, October 8, 2018 at 10:00 A.M. at the Shrine of St. Anne Church, 515 S Main St, Waterbury. Everyone is asked to please meet directly at the church. Burial will be held in Penulas, Puerto Rico. There are no calling hours.